Play Mahjong online for free now! The tile game Mahjong – also called Mah-Jongg or Mahjongg – has been fascinating players all over China since the 19th century. And as if that were not enough, since the 1920s it has spread via the United States throughout the western world. Today, Mahjong is played around the globe online, and it enjoys a huge and loyal web following. Naturally, you can also play this Chinese tile game on GameTwist – without having to master the Chinese language 😅! Here you can find everything you need to know about our online version of Mahjong to become a formidable player! The idea behind the ancient Chinese tile game Mahjong with the colourful letters is simple: find two matching tiles that are not blocked and dissolve the entire pile! As easy as this sounds, it is also tricky, for no fewer than 144 mixed tiles are waiting for you to bring order to the chaos. Every move in a Mahjong game should be carefully thought through so you don’t get stuck with an unresolvable combination! Simply put, your aim in Mahjong is to remove the tiles in pairs and get a better point score than your opponent. Our Mahjong game – taking fun to the next level! The Mahjong variant on GameTwist is one of those particularly sophisticated online games. The reason being is that this game classic has some features which captivate even real Mahjong pros! Set up your own Mahjong table online! You can decide whether any opponent can play at your table or just your friends. How do you want to set up your game? Practise online – improve your skills fast! In practice mode, you play against the clock (30 minutes) and get a feel for removing tiles from the board quickly. Our practice game is also a great opportunity to learn the rules of Mahjong fast and effectively. Our online version of the game offers three different playing field layouts. How do you want to arrange the tiles? Cutting-edge gaming fun – also on your mobile! 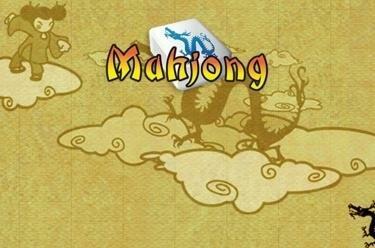 You can play Mahjong on the go with our app – often even free of charge. That way you can enjoy unique gaming action with each round and each removed tile also on your smartphone. Moreover, we recommend checking out more games on GameTwist to make sure you don’t miss out! Mahjong – this game is a success story! Even though the classic Mahjong game is still the most popular version, countless online games like Mahjong Solitaire, Mahjong Deluxe, Mahjong Titans, Mahjongg Candy, Mahjong Empire and Mahjong Fortuna are huge hits. However, the Mahjong version created for GameTwist focuses on the most important issue: having a good time! That’s why our multiplayer mode has long since become a popular community for players from all over the world. And it’s much more fun to build up a network of friends and like-minded players to ensure you always have a suitable opponent for a game of Mahjong! See for yourself and start your game now. Mahjong tips – playing well made easy! Begin with easier versions if you are a novice. With us you can hone your Mahjong skills in practice sessions. It is vital, especially at the start of the game, to remove the tiles on top to get closer to your goal. Always target one to three matching tiles to remove. If you change your mind too often, you’ll get into trouble later in the game! Always think a few Mahjong moves ahead and give yourself an advantage over your opponents. This will ensure that your moves get faster and better in time! Have a break: Mahjong is a challenging game that is only enjoyable if you are totally focussed! Ready for an adventure? We’ll keep our fingers crossed for you. Have fun with our Mahjong game!